A professional website is the beginning of your internet marketing journey … we build strategies that increase traffic to your website and help convert those visitors into customers. With nearly 20 years experience, we have a large portfolio of web design, logo & graphic design, content marketing, internet marketing training & consulting projects for small business owners. We provide affordable, hands-on and user-friendly assistance in creating or enhancing your online presence for your brand. Our services include Web Design, Web Functionality Development, Graphic Design, Logo Creation, Content Management, Blogging, Social Media Management, Internet Marketing Consulting & Training, Internet Marketing Workshops & Classes, and Small Business Support. In business since 1999, Startup Production owned and operated by Nicole Mueller, has been serving the web and graphic design needs of small to medium sized businesses. At the business’ conception, we were located in upstate New York serving our clients in the beautiful Hudson Valley area. Then in 2005, we moved to Central Kentucky in Richmond KY, where we grew the business, developed many great relationships, and was inspired by the area’s community spirit. In 2012, we opened our office in Downtown Lexington KY and have enjoyed living and working in the dynamic and diverse Horse Capital of the World. In 2008, we began to expand the team to include graphic designers, programmers, content managers, social media & search engine marketers, and professional video producers. 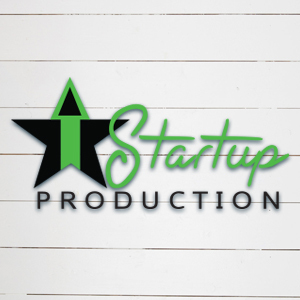 Through the ever expanding and skilled team, Startup Production offers a wide variety of skillsets in one place. In early 2012, we broadened our services beyond Web & Graphic Design to Internet Marketing services, because we realize that “a professional website is just the beginning.” Once your website is launched, the real work begins with promoting your web presence through social media, blogging and email marketing. We not only provide management of your internet marketing, we provide training and consulting after we build a marketing proposal for your specific industry and brand. In late 2012, I started the blog, StartupMyWebsite.com which provides free and pertinent information on marketing your business, enhancing your web presence and increasing sales. In 2014, I started accepting invitations to present Internet Marketing topics to various audiences including Commerce Lexington, MACED, Richmond Chamber, EKU CEDET, UK CEDIK, SBDC, SE KY Community & Technical College, and various other business and non-profit organizations. In 2015, I was awarded the Kentucky Home-Based Small Business Advocate of the Year by the US Small Business Administration (SBA) of KY.
Today, our continued mission is to provide quality & unique design with affordable rates and user friendly methods. Our goal is to provide websites that our clients can manage and update themselves so they don’t feel dependent on a designer nor incur unnecessary costs. We are always looking for ways to save money for our clients without skimping on professional functionality and design.